Offering you a complete choice of products which include data printer for weighing scale. Statistics printing facility available with date and time. Name of company & code number can be printed. Sum only & duplicate copy is possible. Printing data available for a long time. No need of expensive ribbon cartridge. No irritating sound of printing. 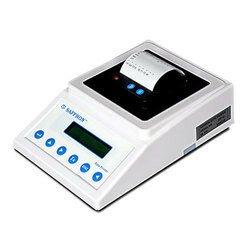 Looking for Data Printer For Weighing Scale ?